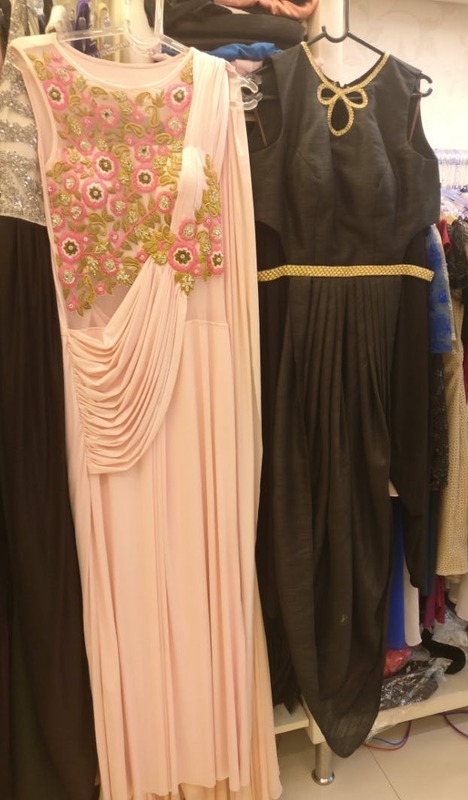 We came across Nautica Boutique in Bandra that does party wear, cocktail gowns and dresses for other formal occaisions in some really unique and stunning designs. Nautica specializes in bridal wear, Indian wear for weddings, and their embellished gowns. Their designs are an absolute delight and I love how well they customize the outfits as per the our needs and requirements. Keep in mind that the festive season is on in full-swing and these guys are quite popular so they're always neck deep in orders; head there and reach out to them at least 15 days in advance for them to give you a great finished product. Their short dresses are priced at INR 4,000 and upwards, while their long ones start at INR 7,000. Their Indian wear is priced at INR 12,000 and upwards. Trust me, it is a good deal for the customer service offered. The best part about Nautica is that if you're not able to figure out your customization, just send them a picture of what you have in mind, and be rest assured that what you've shown is what you'll get. The boutique is open from Monday to Saturday between 11 am and 9 pm, so quit making excuses and head right there!